Troy A. Rule is a law professor at Arizona State University's Sandra Day O'Connor College of Law. For more than half a century, the Federal Aviation Administration has piloted the development of sensible aviation regulation in the United States. Unfortunately, when Congress enacted legislation in 2012 directing the FAA to craft rules for small civilian drones, the agency entered uncharted territory. Civilian drones are fundamentally different from manned aircraft. Many small drones can be purchased online for just a few hundred dollars and are designed to hover relatively close to the ground, well below where conventional planes and helicopters fly. The FAA is working on federal civilian drone regulations, but in the meantime, the agency has outlawed any commercial uses of drones without express FAA authorization. This ban applies to hundreds of types of flying devices that are not even capable of reaching the minimal safe altitude of manned airplanes. Several times this year, FAA officials have issued cease-and-desist notices against ordinary citizens for flying small commercial drones just a few dozen feet above land. The FAA's controversial crackdown on commercial drones drew attention last March when an administrative law judge for the National Transportation Safety Board ruled that the FAA lacked authority to fine a man $10,000 for using his drone to capture aerial footage of the University of Virginia for a promotional video. The judge hearing the case candidly pointed out that, under the FAA's expansive view of its own regulatory power, even the flight of a paper airplane or a toy balsa wood glider would fall within FAA jurisdiction. Shockingly, an NTSB opinion issued this week reversed that decision and implied that the FAA did possess regulatory authority over the flights of unmanned objects, regardless of their size, all the way down the ground. This new ruling is particularly troubling because the FAA still hasn't found a federal regulatory scheme capable of effectively integrating drones into the nation's airspace. A June audit report revealed that the agency was “significantly behind schedule” in meeting congressionally imposed deadlines for its development of civilian drone regulations. Frustrated at the FAA's snail-like pace, companies such as Amazon and Google have begun exporting their drone research activities to other countries. Small drones are not built for lengthy interstate flights at altitudes where conventional airplanes fly, so why should a federal agency be the chief regulator of these devices? Rather than seeking to expand its regulatory jurisdiction all the way down to the ground, the FAA should advocate for itself a more limited role in a collaborative federal, state and local regulatory scheme tailored to the unique attributes of drone technologies. The FAA should be focused on those aspects of drone regulation that are most appropriately implemented at the federal government level. For instance, the agency could accelerate the development of national drone safety and performance standards analogous to the National Highway Traffic Safety Administration's manufacturing standards for motor vehicles. Among other things, these FAA standards could require that all commercial drones incorporate specific global positioning system features to ensure compatibility with a nationally standardized geo-fence network designed to keep drones out of the way of conventional aircraft. At least one leading drone manufacturer is already using “geo-fence” software to prevent operators from flying their drones into the airspace surrounding hundreds of airports around the world. Most other facets of civilian drone regulation are better suited for lower levels of government. Several state legislatures have already enacted drone-related statutes, but states should be doing much more. In addition to creating registration and licensing programs for commercial drones and their operators, legislatures could enact laws that clarify the scope of landowners' rights to exclude drones from the airspace directly above their land. If tailored properly, these aerial trespass statutes could help to address a wide array of conflicts involving drones, including those involving law enforcement uses of drone devices. Local governments are well-positioned to serve valuable functions in drone regulation as well. In particular, drone zoning laws adopted at the local level could permit wider use of drones in certain commercial or agricultural zones while imposing greater restrictions on drones above residential areas. Municipalities could even adopt temporary-use permit provisions to accommodate occasional drone use by real estate agents and wedding photographers without compromising landowner privacy. Regrettably, until the FAA signals that it does not intend to regulate these sorts of activities at the federal level, most local officials are unlikely to craft innovative drone policies within their communities. The commercial drone industry is poised to take off in the United States, but it will largely remain grounded until the FAA embraces a narrower regulatory role and gets out of the way. (Reuters) - The chief executive of Norwegian Air Shuttle rejected arguments by U.S. airlines and unions that his efforts to build a low-cost, long-haul airline serving the United States would undermine U.S. wages and working standards. Instead, CEO Bjorn Kjos said U.S. airlines arguing for labor fairness actually fear his cheap ticket prices. A round-trip flight from New York to London in December costs as little as $483 on Norwegian, compared with $835 on Delta or $832 on American, according to prices posted on the airlines' websites on Wednesday. Kjos, a former fighter pilot, said in an interview with Reuters on Wednesday that his airline pays competitive wages everywhere its crews are based, including New York, and that he supports employees' right to form unions. "We don't care if they're unionized," he said. "That is up to the crew to decide themselves." The comments came as dozens of pilots visited Capitol Hill on Wednesday to press lawmakers to oppose Norwegian's efforts to get broader permission to fly to the United States. Kjos is slated to speak to International Aviation Club in Washington on Thursday. While Norwegian Air Shuttle already flies from Oslo to New York, Florida and other destinations, its Ireland-based subsidiary, Norwegian Air International, does not have permission to fly to the country. U.S. airlines and labor unions are lobbying the U.S. Department of Transportation to deny the subsidiary's application for a foreign air carrier permit. The opponents include airline labor unions and big carriers such as American Airlines Group, Delta Air Lines Inc and United Continental Holdings Inc. They say Norwegian will dodge U.S. labor laws by using its Irish subsidiary to take advantage of labor laws that are weaker than in Norway, threatening U.S. jobs. Kjos said the Irish subsidiary is necessary to obtain access for all of Norwegian's aircraft to fly between the United States, Europe and Asia. If the company is only incorporated in Norway, it does not have access to many countries in Asia, since Norway is not part of the European Union. That would leave Norwegian running two airlines that separately serve the United States and Asia, and not able to shift aircraft from one region to the other. "It would be a logistical nightmare," Kjos said. "We can't have one airline flying east, one airline flying west." If the Transportation Department approves Norwegian's application, Kjos said, he plans to establish crew bases in Los Angeles, New York and other locations, and likely will hire American pilots. Norwegian is one of the first airlines trying to bring low-cost flying to long-haul flights. It has a fleet of 17 Boeing 787 Dreamliners and plans to order at least five to 10 more. Between 50 and 125 baggage handlers servicing several airlines at Philadelphia International Airport plan to walk off the job Thursday protesting low wages, the worker's union said. The handlers work for PrimeFlight, an independent contractor that staffs baggage operations for US Airways Express, American Airlines and Philadelphia International Airport's international terminal, A West. Julie Blust, spokeswoman for 32BJ SEIU, said the work stoppage is expected to run from 7 a.m. through noon. They will be demonstrating in front of Terminals B & C, she said. The handlers are frustrated over low wages and the union says many make $7.25 an hour. Philadelphia voters approved a ballot question in May asking whether airport workers should see the minimum wage increased to $10.88 an hour. The union says that increase has not materialized. It is still unclear how the work stoppage will affect travelers. Officials at Philadelphia International Airport said they were still assessing the situation. NBC10 also reached out to the airlines, but did not immediately hear back. The FBI and FAA are investigating incidents involving three passenger planes that reported sightings of drones in and around the Kennedy Airport approach airspace this week. The incidents occurred Sunday and Wednesday. Officials say a Virgin Atlantic flight was landing at the airport on Sunday night when the crew spotted red and white flashing lights at 3,000 feet. They said it was a slow quad copter drone. A minute later, a Delta flight noticed the same thing, and said the craft was within feet of its wing. Wednesday, a Jet Blue flight reported a drone at 400 feet over Nassau County. No pilots took evasive action. All three flights landed safely. United Airlines plans to eliminate its daily service from Carlsbad’s McClellan-Palomar Airport to LAX by May, leaving the North County airport with no major commercial carrier. The move comes as Skywest airlines, which operates the roughly seven daily flights as United Express, moves to a new fleet of jets that can’t land on the airport’s short runway, a spokeswoman for Skywest said Wednesday. Currently, Skywest uses a 30-passenger turboprop plane for the flights, offered since 1998. Melissa Snow, a spokeswoman for Skywest, said the change is coming because of costs, as well as challenges associated with implementing new Federal Aviation Administration rules involving pilot rest time. Ted Owen, CEO of the Carlsbad Chamber of Commerce, said the cancellation of service had been rumored for a while, but he wouldn’t be surprised if another airline took United’s place. Palomar’s runway is 4,897 feet long. For measure, San Diego International Airport’s runway is 9,400 feet long. Previously, American Eagle offered service from Palomar to Los Angeles, while U.S. Airways Express flew to Phoenix. A commercial airline proposed in 2010 for Palomar called California Pacific planned to fly to San Jose, Oakland, Sacramento, Las Vegas, Phoenix, and eventually Cabo San Lucias, but its applications were routinely returned by the FAA, citing various failings. Surf Air, a charter all you can fly airline service, began offering flights this week to Santa Barbara and the Bay Area. There are eight additional charter and air taxi services that operate out of Palomar. Following the incident at Surat Airport earlier this month — when a SpiceJet aircraft was hit by a buffalo while taking off — the airline has launched its own survey of other small and vulnerable airports parallel to a probe being undertaken by the Directorate General of Civil Aviation (DGCA). The airline, which is learnt to have “cancelled” more than 30 flights in the past week, said it’s going through a “fleet restructuring”, which has led to “rescheduling” of flights. “We have changed our schedule. This is some short term pain. We are telling passengers that we have changed it for a short time till sometime in December and we are accommodating them. The passengers are being taken care of,” Sanjiv Kapoor, the airline’s chief operating officer, said. Following the Surat incident, SpiceJet is doing a survey of smaller airports around the country, Kapoor said. “We withdrew from Surat because the airport is still not secure and the aircraft is still there. We have started inspecting other small airports on our own. We will be sharing our findings with the DGCA, which is carrying out its own survey. But now we do not want to take a chance. The Surat incident is a wake up call for the industry,” he said. The DGCA is already probing the November 6 incident where around 170 passengers and crew had a narrow escape. The budget airline’s daily flights have fallen from 345 in July to 300 now, and its Boeing 737 fleet from 35 in July to 28 — of which two are not operational. Kapoor said the airline will have a fleet of 35 Boeing 737 aircraft by December and hopes to have 45-50 Boeing in the fleet by the second half of the next calendar year. The Next Generation Air Transportation System – or NextGen, as it’s better known – is one of the biggest white elephants you probably never heard of. Formally launched a decade ago by the Federal Aviation Administration, Next-Gen was designed as a complex interconnected array of new technologies that vowed to reduce flight delays and lower fuel consumption and carbon emissions that contribute to global warming. The estimated cost? That would be about $40 billion through 2025, which would be shared by the government and the airline industry – meaning higher taxpayer dollars and increased airline ticket fees. The Government Accountability Office, the airline industry, lawmakers and other have complained for years that the massive project to replace the current radar-based air traffic control system was woefully behind schedule. On Tuesday, the House Transportation and Infrastructure Committee held a hearing on the status of NextGen. The verdict was that the proposed new system is a bust – stalled, broken and unlikely to materialize anytime soon. Committee Chair Bill Shuster (R-PA) complained the process was broken and that the FAA was moving at a snail’s pace. Rep. Mark Meadows (R-NC) recalled that when he previously asked FAA Administrator Michael Huerta and his deputies about the project’s deadlines, he noted beads of sweat forming on their foreheads. And delegate Eleanor Holmes Norton, a D.C. Democrat, said that the highly ambitious effort to replace a 20th century radar-based system with a technologically efficient GPS-based system was for now far out of reach. She dismissed the 2020 date for partial implementation of NextGen as fiction, adding that the FAA is not about to see any significant changes in the existing system for the foreseeable future. A Chantilly man was cited by police November 17 on a weapons charge after Transportation Security Administration officers stopped him from bringing a loaded 9 mm handgun past a security checkpoint at Washington Dulles International Airport on a flight bound for Charleston, S.C. The gun was the seventh firearm that TSA officers have detected at one of the airport checkpoints so far this calendar year, according to Lisa Farbstein, spokesperson for the TSA. TSA officers detected the handgun, which was loaded with six rounds, in the man's carry-on bag as he was passing through the airport checkpoint. Metropolitan Washington Airports Authority Police confiscated the firearm and cited the man on a state weapons charge. There was no impact to airport operations. In 2013, TSA officers detected 1,815 guns in carry-on bags nationwide. Already this year more than 1,900 guns have been detected by TSA officers at checkpoints across the country, Farbstein said. Weapons – including firearms, firearm parts and ammunition – are not allowed in carry-on bags, but can be transported in checked bags if they are unloaded, properly packed and declared to the airline. Passengers who bring firearms to the checkpoint are subject to possible criminal charges and civil penalties from TSA up to $11,000. TSA has details on how to properly travel with a firearm posted on its website at http://www.tsa.gov/traveler-information/firearms-and-ammunition airlines may have additional requirements for traveling with firearms and ammunition. Travelers should also contact their airline regarding firearm and ammunition carriage policies. LOUISIANA: The body of Lt. Colonel (retd) Aftab Rab, who was presumed dead along with his flying instructor after their small plane crashed into Lake Pontchartrain here, has been recovered. That the two dead bodies were recovered from the lake after days of hectic efforts by the US Coast Guards. Rab, who was taking training as a commercial pilot, went missing after his single-engine plane crashed shortly after takeoff from Lakefront Airport in Louisiana on November 12. Rab’s family has decided to perform his last rites in the United States. 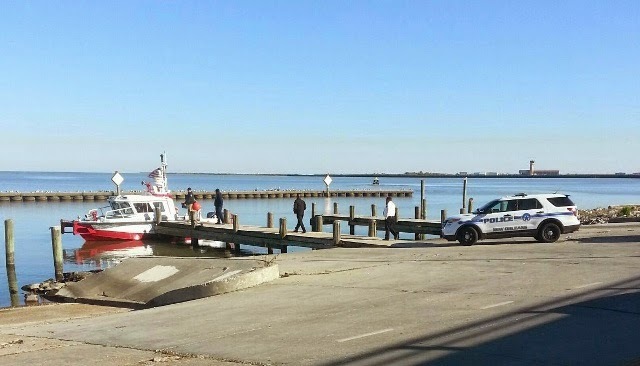 NEW ORLEANS —New Orleans authorities believe that a body discovered Wednesday is one of the two people that were inside a plane that went missing over Lake Pontchartrain. 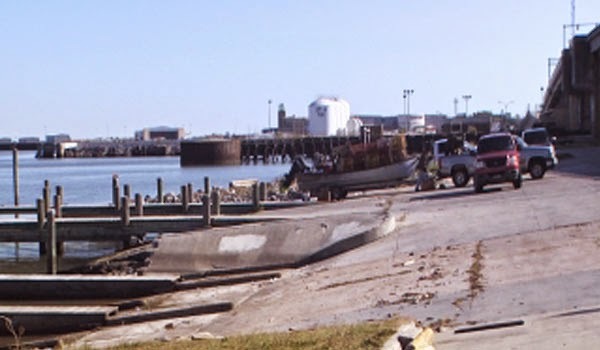 The New Orleans Police Department was notified before 9 a.m. Wednesday that a body was found in the marina near the Lakefront Airport runway. New Orleans officers began their investigation and determined that the body is one of the two people that were inside a plane last Thursday before it went missing over the lake. Crews have been searching for the passengers and the plane since then. During the news conference Wednesday, authorities stated that a second body was reported to have been discovered. Crews are now trying to recover it from the lake. NOPD officers have been working with the New Orleans Office of Homeland Security and Emergency Preparedness in the search. Other local public safety agencies have also been providing their assistance in the effort. New Orleans officials have already sent the first body to the Coroner's Office for identification. But they believe that the two bodies discovered are the pilot and passenger that were inside the plane believed to be a Cessna Skyhawk with the model number N47607. “The weather conditions have brought some challenges to our responding crews. There are 20 knot winds and three to five-foot waves right now. They're causing our sonar to not work. They're still actively searching and it's an on-going search and rescue effort,” Coast Guard Petty Officer 3rd Class Carlos Vega said last week. Records indicate that the plane is registered to Blue Dot Aviation. The owner is believed to be the co-owner of Blue Dot Donuts in Mid-City. A body of a male has been found in Lake Pontchartrain near 5400 Lakeshore Drive, New Orleans police said Wednesday (November 19) at 8:50 a.m. The body was taken to the coroner's office, which will determine cause of death. NOPD didn't release any more details. Officials have been searching the lake after a single-engine plane apparently plunged in the lake Nov. 12 near the Lakefront Airport. A flight instructor and student pilot were onboard the plane. Officials believe they died in the crash, but their bodies have not been recovered. Read more about the search efforts for the pilot and the passenger. Police did not say if the body found Wednesday is related to the plane crash. The federal transportation safety board will conduct a safety issues investigation into the causes of an alarming number of fatal crashes in Canada involving air-taxi operations — commercial flights with fewer than 10 passengers and crew. The board noted that 175 persons have died in the air-taxi sector over the past decade, representing 65 percent of all commercial aviation fatalities. Rather than investigate the cause of an isolated crash, as it usually does, the board will address a range of underlying issues that contribute to air-taxi accidents, including inadequate risk analysis, pilot decision-making, and weather. Bill Yearwood, the safety board’s regional manager in Richmond, said in an interview Wednesday there are numerous inherent risks in the air-taxi business, which often operates in remote areas without access to the same services, including weather information and air-traffic controllers, as larger passenger airplanes. “It will look at all the issues, all the accidents involving this group,” he said of the study, noting the terms of reference have not yet been determined. Although 2014 has been a quiet year for the air-taxi sector in B.C., a pilot and two passengers died in an Air Cab Cessna 185 float plane crash near Potts Lagoon off Port McNeill last Oct. 24, 2013. A pilot and passenger also died when an Air Nootka de Havilland Beaver float plane crashed on Aug. 15, 2013, on the Hesquiat Peninsula. “If you look back beyond the year, air-taxi does rear its head as the community that contributes more fatal accidents,” Yearwood said. The safety board announcement comes almost five years after the Nov. 29, 2009, crash of a Seair Beaver float plane in Lyall Harbour, off Saturna Island, that killed six passengers, including a doctor and her infant daughter. The pilot and one other passenger survived with serious injuries despite the risk of drowning outside the aircraft due to the absence of a law requiring life jackets to be worn during flights. A total of 22 persons died in four commercial float plane crashes in B.C. — two on water and two on land — from August 2008 and May 2010. Since then, several float plane companies voluntarily introduced safety measures including mandatory wearing of life vests by passengers — notably, not Harbour Air, the largest operator — as well as pop-out emergency windows and improved door latches, and created the Floatplane Operators Association. A federal law is expected to take effect soon that would require passengers and crew to wear a flotation device when boarding a seaplane or when operating on or over water and would require mandatory emergency underwater egress training for pilots of fixed-wing commercial seaplanes. GATINEAU, QC, Nov. 19 2014 /CNW/ - In a speech yesterday to the Air Transport Association of Canada, Kathy Fox, Chair of the Transportation Safety Board of Canada (TSB), announced that the TSB will launch an in-depth Safety Issues Investigation (SII) into the risks that persist in air taxi operations across Canada. The study will begin early in 2015. "The air taxi sector of the aviation industry has seen 175 deaths over the last 10 years-65% of all commercial aviation fatalities-and we need to determine why," said Ms Fox. "We'll be analyzing historical data and case studies of selected accidents in Canada as well as occurrences from other nations. We'll also be engaging industry, the regulator and other stakeholders in the coming months to gain a full understanding of the issues affecting air taxi operations." Air taxi operations, or Canadian Aviation Regulations (CARs) 703, refer to single and multi-engine aircraft (other than turbo-jet) that have a maximum certificated take-off weight of 19,000 pounds or less, and a seating configuration, excluding pilot seats, of nine or less. Over the past 10 years, the TSB has repeatedly drawn attention to critical safety issues that contribute to accidents. These findings include recurring issues such as inadequate risk analysis of operations, crew adaptations from standard operating procedures, pilot decision-making, and deficiencies in operational control, especially in self-dispatch operations. An SII (also known as a Class 4 investigation) is broad in scope and involves looking at multiple occurrences in order to identify the underlying safety issues, and the Board may make recommendations to address any identified systemic deficiencies. The TSB will communicate its findings once the investigation is complete. This news release and all previously published reports about air taxi safety can be found on the TSB website at www.tsb.gc.ca. Keep up to date through RSS, Twitter (@TSBCanada), YouTube, Flickr and our blog. "On Wednesday, November 19, the Civil Aviation Authority of the Philippines (CAAP) denied reports of a plane crash in the vicinity of Paombong, Bulacan shore line," reports ABS-CBNnews.com. In a statement, the CAAP said: "All commercial aircraft flying in the Philippine airspace were all accounted for as of press time." The agency added, "Coordination with Philippine Air Force confirms that all military aircraft are likewise accounted for and no reported incident of plane crash was reported." The alleged crash was supposed to have happened on Tue night, Nov 18. Police in the area reportedly got a call from a concerned citizen claiming to have seen a plane flying very low near the area. Meanwhile, the report said that "Bulacan Governor Wilhelmino Sy-Alvarado and the Provincial Disaster Risk Reduction and Management Council (PDRRMC) had also denied reports of a plane crash in Paombong. The report nited: "Elements of the Philippine Army, Philippine National Police, and Bulacan Rescue have been searching for signs of a downed plane since last night. They used used rubber boats to search for plane debris near Paombong. The search has also reached as far as Malolos and Hagonoy, but no plane debris was found." PDRRMC official Liz Mungcal revealed that "some fishermen confirmed seeing two helicopters flying low in Paombong last night but denied that any of the aircraft crashed." Plant City, Florida – A small plane made an emergency landing Tuesday night in a field off County Line Road near the Hillsborough-Polk County line, authorities said. The pilot of the Cessna 150L reported engine problems shortly after taking off from the Lakeland Linder Regional Airport around 6 p.m. The pilot set the plane down in a field 12 miles from the airport, the FAA reported. Two people were aboard the single-engine craft, and both are OK, the FAA said. Their names have not been released. New Delhi, Nov 19: For 'Selfie', people are ready to risk their own lives and job too. A Selfie-obsessed pilot seems to be in trouble for using cockpit as a place to click pictures with friends and family. A Mail Today report brought to fore how the pilot used the cockpit as a place for photo shoot. Taking a note of the issue, Director General of Civil Aviation (DGCA) sought an explanation from Jet Airways asking "under what conditions the pilot allowed all those into the restricted zone." The matter came to light after Sahil Arora, the pilot in trouble, uploaded his pictures on Facebook. A DGCA was quoted as saying in Mail Today, "DGCA's air safety wing has served a notice to Jet Airways seeking a detailed explanation about the pictures the pilot has taken inside the cockpit. DGCA will wait for airline's reply to take action. Prima facie, it seems that pilot allowed his friends and other crew members without any purpose." On the other hand, Jet Airways spokesperson said that the report published in the daily is misleading as the pictures were clicked when the plane was on ground. As per rules, entry inside cockpits by non-crew members is banned but it does not say who shall be held accountable for violations. Earlier, a 23-year-old Polish tourist plunged to her death while trying to take a selfie in Seville in Spain. Medical student Sylwia Rajchel slipped while taking a self-portrait on the ledge of the Puente de Triana bridge, media reports said. She fell 15 feet onto the concrete footings of the structure and succumbed to her injuries. Las Vegas-based airliner Allegiant will move into New Orleans Louis Armstrong International Airport next year, starting seasonal direct flights from Indianapolis, Cincinnati, and Columbus, Ohio and year-round flights to Orlando, the company announced Tuesday. The discount airliner is adding New Orleans to its lineup, which focuses on linking smaller cities to vacation destinations in Florida, California, Nevada and Hawaii. Flights will begin in February before Mardi Gras. "We are very excited to announce New Orleans as our newest destination city and to offer Allegiant travelers the option of vacationing in New Orleans for less," Jude Bricker, Allegiant Travel Company senior vice president of planning, said in a news release. "With four routes and eight flights a week, we expect to bring a significant number of new visitors to experience all that NOLA has to offer." Allegiant, founded in 1997, offers scheduled flights to 89 cities in the U.S. and chartered flights across North America. It operates a fleet of 56 MD-80 aircraft, six Boeing 757-200 aircraft, and two Airbus A319 aircraft. Twice-weekly flights from Cincinnati, Indianapolis, Orlando and Columbus begin Feb. 5. One-way fares start at $85 to the Midwestern cities and $45 to Orlando, the company said. CORRECTION: A previous version of this story reported the flights were to other cities. The flights are one-way inbound to New Orleans. AUGUSTA — Two women were injured in a head-on crash Tuesday morning on a section of Eastern Avenue near Rebecca’s Place restaurant. Sally Beane, 49, of Manchester, was taken by LifeFlight helicopter to Central Maine Medical Center in Lewiston. A hospital representative said late Tuesday afternoon Beane was in fair condition after being listed in critical condition earlier in the day. Lucretia Smith, 51, of Rockland, was taken by ambulance to MaineGeneral Medical Center in Augusta and then was transferred to Maine Medical Center in Portland. Police said Tuesday morning Smith was in critical condition, and a hospital spokeswoman said later in the afternoon that she was unable to provide the medical condition of Smith. Two helicopters were requested initially, but Augusta police Sgt. Christian Behr said a brief snow squall prevented a second helicopter from landing at the scene. Police said Beane, driving a 2004 Oldsmobile Alero, was traveling east, and Smith, driving a 2004 Chevy Cavalier, was traveling west when they collided head-on. Maine State Police were reconstructing the accident scene, and the cause of the crash is still under investigation. Both drivers, who had to be removed from their cars by firefighters, were the only occupants of their vehicles. Both vehicles were damaged heavily in the crash, which occurred about 9:20 a.m. just east of Cony Road. A section of Eastern Avenue, also known as Route 17, between Spring and Cony roads was closed for more than 90 minutes as emergency personnel responded to the crash. The road was reopened about 11:10 a.m.
Qatar Airways chief Akbar al-Baker on Wednesday took a swipe at legacy carriers which complain of competition from Gulf carriers, accusing them of being "inefficient" and protected by EU policies. Legacy carriers "are screaming about the Gulf Three," Baker told an aviation forum in Dubai referring to his airline, Dubai's Emirates and Abu Dhabi's Etihad. "There is enough business... They are inefficient," he charged. Baker said workers' unions were the cause of problems faced by legacy carriers, not Gulf carriers which have seized a sizable share of transit travel between the West and Asia and Australasia. "It is the unions that should be blamed," he said. Baker charged that the European Union intervened far more than the United States when it came to the protection of home carriers. "EU without doubt," he said, naming France and Germany in particular. "We have problems in France, Germany, the Netherlands and elsewhere... Stirred by two individual countries: Germany and France," he said. European airlines, notably Air France and KLM, have voiced concern at increased activity by Gulf-based companies, complaining of differences in taxation that they say cause unfair competition. Nov 19 (Reuters) - Gulf-based airlines have closed financing agreements for a total of 16 Boeing and Airbus aircraft, according to statements from the carriers and banks involved. The region's airlines are securing funds as they take delivery of what Boeing has forecast to be a need for 2,610 aircraft by 2033, valued at $550 billion. Dubai's Emirates airline has signed a 1.1 billion dirham ($299.5 million) financing deal with a group of banks for the purchase of two Boeing planes. First Gulf Bank, the third-largest lender by assets in the United Arab Emirates, led the club finance lease package on behalf of Emirates for the two 777-300ER aircraft, the bank said in a statement. Separately, Dubai Islamic Bank and Air Arabia said they had signed a $230 million Islamic financing deal to cover the purchase of six new Airbus A320 aircraft in 2015 by the budget airline. The Ijara-structured facility will pay for the delivery of a new aircraft every two months from January. The Sharjah-based low cost carrier had received 29 of the 44 A320s it ordered from Airbus in 2007, the joint statement said. Ijara is a leasing arrangement commonly used to structure Islamic financing facilities. The deals follow Qatar Airways closing a sale and operating leaseback transaction with Standard Chartered for three 777-300ER and five 787-8 aircraft. It was the first sale and leaseback transaction entered into by the Qatari flag carrier, according to local press reports on Tuesday. Emirates and Qatar are among the fastest-growing airlines in the world. In July, Emirates finalized a $56 billion to buy 150 777X jets, while Qatar ordered 50 of the aircraft. More people than ever are boarding planes at Jackson Hole Airport, but at the same time the airspace over the valley is measurably emptier than it was a decade ago. Measured by takeoffs and landings tracked by the control tower, there has been a 16 percent decline in air traffic at Wyoming’s largest airport over the past six years. The downward trend in aircraft using the Grand Teton National Park jetport belies a steady uptick in the number of people flying commercially into Jackson Hole. With six weeks to go in the year, 2014 is well positioned to be the busiest in the airport’s history, and likely more than 310,000 people will board a plane here by the time New Year’s rolls around. But the number of aircraft operations — which can be either a landing or a takeoff — is expected to end down significantly. Extrapolating out to factor in the last two months of the year, airport managers anticipate 25,228 operations in 2014, down from 30,091 in 2008. The control tower records do not include air traffic between the hours of 9:30 p.m. and 7 a.m. A voluntary air traffic “curfew” takes effect at 10:30 p.m.
Records for previous years were not readily available, but Logan said 2008 marked a peak. The steepest declines in airport traffic have been in general aviation, or in other words with private planes. Using jet fuel sales as a barometer, private plane traffic dropped 45 percent, Brown said. He estimated that Jackson Hole Aviation’s business has made a 33 percent recovery in the seven years since. Jackson Hole Airport Director Jim Elwood — who previously headed a similar airport operation in Aspen, Colorado — said that the declines in aircraft operations align with the trend being observed nationwide. “I haven’t tried to compare the percentage shifts, but it’s not surprising to see overall that the operation counts are continuing to move downward,” Elwood said. “There’s pretty much a positive in the decrease in the fact that we’re carrying more passengers on each airplane. “Then the surrounding impacts of the aircraft operation will decrease,” he said. The airport director said those factors could include plane noise, as well as greenhouse gas emissions. Commercial air traffic, measured by the volume of planes, fell 14.7 percent between 2008 and 2014. The year the Great Recession struck 7,808 commercial plane operations were recorded. Estimating for the last two months of the year, airport managers expect the tally to be 6,662 in 2014. The contradictory trends in commercial air traffic — enplanements versus wheels-up operations — is a side effect of an “upsizing” of the aircraft using Jackson Hole Airport, Logan said. Nowadays, Logan said, larger regional jets and Boeing 737 and 757s have become the norm. The upsizing trend has carried over into the private and corporate planes, Elwood said. The decline in aircraft operations has been a boon for some Jackson Hole Airport neighbors. Even at the recent lower levels, over the course of the year the airstrip is averaging about 70 plane operations a day. “It’s been quieter,” said Bob Righter, a historian and Meadow Road resident of over 20 years. “What I’ve probably noticed more than anything is that the jets in the last 20 years have become less noisy. They have built the 737s and 757s much quieter than they used to be. “We used to have planes coming in all the time a dozen years ago,” Righter said, discussing how flights once flew in late at night. Righter’s recent history book, “Peaks, Politics and Passion,” includes a chapter that chronicles the Jackson Hole Airport and the tension between valley residents, the National Park Service and the Federal Aviation Administration. The retired professor and seasonal resident said that nowadays the airport is less of a thorn in his side. “I’ve become a little more tolerant of the planes, because I used to get enraged,” Righter said. “Of course I was younger and less tolerant and a little less deaf as well. KARACHI: Pakistan International Airlines (PIA) has secured approval for cargo services to the European Union (EU) after being suspended over security fears, officials said Wednesday, a rare boost for the beleaguered airline. The EU tightened security controls on air freight in the wake of a plot to smuggle a bomb hidden in printer toner cartridges on a plane from Yemen in 2010. New regulations came into force in July this year and in September when the EU suspended PIA's right to fly cargo into the bloc over non-compliance. The airline got clearance from the EU after installing dual view x-ray machines and explosive trace detectors to thoroughly scan goods and parcels booked on its flights. “It is a very big achievement for us now that EU experts have audited our security installations and validated our safety and security standards,“ Captain Salman Azhar, PIA's director for safety and quality insurance, told AFP. Once a jewel among Asian airlines, state-owned PIA has suffered terrible problems in recent years, with financial losses running to hundreds of millions of dollars and constant flight cancellations. In the past, one PIA pilot was jailed in the UK for showing up drunk to fly a plane with 156 people on board. Moreover, Pakistan's airports have suffered two major security incidents this year. In June, heavily armed militants stormed Karachi international airport in a commando-style raid that left 38 people dead, including the 10 attackers. Two weeks later, gunmen opened fire on a PIA flight from Saudi Arabia as it landed at Peshawar airport. Pakistan International Airlines: A ‘dead product’ to sell? The management of the national flag carrier Pakistan International Airlines (PIA) has been trying to retain a PR firm to re-brand its image since August, but in vain. Image problems, however, should be the least of PIA's concerns. Its products and governance need an overhaul, which no PR maverick, even Don Draper of Mad Men, could provide. Repeated ads have failed to entice a reputed PR firm, forcing the airlines to extend the deadline, yet again, by 10 days. It is true that PIA's bad repute is a limiting factor. However, the real culprit is decades of poor management, which has delivered inferior products and services. No matter how much PIA plans to spend on cosmetic fixes, unless the management is overhauled, there is no hope for the struggling airline. PIA is running humongous losses. Earlier in November, PIA advised the Economic Coordination Committee of the Cabinet that the airline was running accumulated losses of 207 billion rupees (US$2.03 billion). In 2013 alone, PIA lost an additional 44.5 billion rupees, the largest calendar-year loss ever. In 2010, the accumulated losses were fewer than 75 billion rupees. In a short span of four years, the losses have increased by 175 per cent. Whatever plans the government and the PIA management had put in place, all failed miserably. PIA's creditors are losing patience. Pakistan State Oil (PSO) supplies fuel to the airline. It warned the airline publicly that unless it clears the outstanding debt of 12 billion rupees, PSO will stop providing fuel to PIA. Fuel stoppage would effectively ground the airline. The PIA's management committed to repaying 2 billion rupees in November to ensure continued fuel supply. There is no dearth of smart individuals at well-reputed ad agencies. They can do the math for themselves. When they see PSO struggling to be paid, the PR firms know that the odds of being reimbursed for the services delivered in the future are no better than that of the PSO. No wonder then that the established PR firms are not responding to PIA's call. With 18,000 employees and only a few dozen planes, PIA is one of the world's worst managed airlines. Since PIA is a state-owned enterprise, every successive government has tried to operate the airlines as the ruling party's personal limo service. The wasteful use of services, exploitation of its resources by its staff, and the lack of accountability are some of the factors that have pushed the airline closer to the brink. Being a public sector enterprise, PIA failed to resist successive governments who filled the airline's ranks with their loyalists. At the same time, the army of workers, whose services PIA has no use for, oppose any attempt to change the culture or to make the agency more competitive. In addition, opposition parties and PIA's employees oppose attempts for partial privatization of the airline. Somehow, PIA's 18,000 employees feel it's their God-given right to hold the 180 million Pakistanis hostage. Why should the entire nation be collectively penalized to the order of 200 billion rupees for the failure of 18,000? Successive governments have repeatedly appointed their favorites to the key management positions in PIA. The results have been obvious over the years where losses have ballooned with every passing year. At the same time, PIA's aircrew has embarrassed the airlines by trying to smuggle iPhones or turning up inebriated to fly the plane. The government has tried to appease the powerful pilot's union by appointing pilots to management and leadership positions. This is a mistake. Pilots are skilled in flying planes, but not in managing complex organizations. In fact, pilots know as much about organization behavior and management as the railway engineers do. Yet, I hear no one asking to appoint a railway engineer to the MD office. During my graduate studies in transport engineering at the University of Toronto, I took a course in airport and aviation management. Dr. Lloyd McCoomb, who headed the Greater Toronto Airport Authority (GTAA), taught the course. Dr. McCoomb's responsibilities included managing the Pearson Airport, Canada's largest airport with over 32 million annual enplaned-deplaned passengers. The course was at the cutting edge of airport and airline management. Such training should be mandatory for anyone aspiring to manage airports and airlines. One big challenge in Pakistan is the lack of management experience required to run an airline or manage a busy airport. So poorly trained is the workforce that when the flights carrying relief goods for the 2005 earthquake victims started to arrive at the Islamabad airport, the air traffic controllers gridlocked the air and groundside operations. A crew from DHL was brought in to take over the operations. If the government is at all serious about rescuing PIA and relieving taxpayers of the responsibility to bankroll the defaulting state-owned enterprises, it should bring in a team of experts from abroad whose experience matches that of Dr. McCoomb. Such talent does not exist in Pakistan; over two billion rupees in losses should be sufficient to recognize this point. These experts should be given complete autonomy over operations. They should benchmark PIA's operations against comparable successful airlines. They would need to implement changes to stop the hemorrhage; it is naive to think of profits at this stage. PIA has to clear 200 billion rupees in losses before one could think of profits. A lot also depends on the superior courts. Without a doubt, laid off employees, whose positions have already been redundant for years, will challenge their dismissal in the courts. It is, therefore, incumbent upon the superior courts to consult with global experts in airline operations and management before passing judgements on this matter. We should not forget that the workers' right to earn a living does not mean that we must condemn every state-owned enterprise to life-support, which cost billions to the taxpayers. Madhya Pradesh Flying Club, which was established in 1951, has often been in news for the wrong reasons. While Wednesday’s plane crash at Indore airport resulted in death of a pilot, another Cessna aircraft had crash landed near Indore airport last year but the pilots had escaped with minor injuries. In June 2013, a Cessna 152 plane of the flying club crash landed in the field outside the airport after its engine failed. Fortunately, both the pilots escaped with minor injuries as the field was soggy. “The report of the DGCA probe that was ordered after the mishap is yet to be submitted,” MP Flying Club chief flight instructor Capt Mandar Mahajan told HT. Interestingly, the aircraft that crashed on Wednesday is also a twin-seater Cessna 152. “The fact that the aircraft has a single engine increases the risk, but the plane is used in other flying clubs across India although it has been discontinued in several other countries,” an official of the flying club said. The club was also mired in controversy in 2012 when flight operations were suspended at Indore airport for non-payment of hangar charges and at Bhopal for not having a chief flying instructor. Another issue that had led to the flight operations coming to halt for several months at Bhopal was resignation of chief flying instructor Capt. Majid Akhtar. The CFI had resigned following allegations as to how he could instruct pilots as he himself had failed the re-current training program conducted in the US. The club was also in news when annual grant of `10 lakh from the State government was stopped in 2001. This was resumed at Rs. 2 lakh per year in 2010. This resumption of the grant coincided with the admission of a former chief secretary’s son to the club at a concessional rate. In 2012, the income tax department declined MP Flying Club’s contention that it should be exempted from paying taxes on the ground that it is an educational institution and its activities are charitable. The income tax department declared that the flying club was a commercial organization which is as good as coaching class that charges students for giving training for flying. The flying club imparts flying training to students wanting to obtain commercial pilot license and private pilot license. Headquartered in Indore, the club has a fleet of nine aircraft. 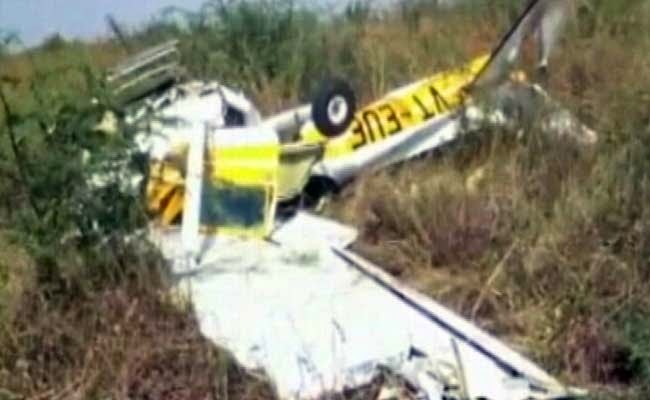 One pilot died and another sustained multiple injuries when a Cessna 152 of Madhya Pradesh Flying Club crashed on the Indore airport premises on Wednesday morning. The incident occurred when the pilots were carrying out a touch-and-go maneuver as part of experience building (called hour building in aviation parlance) exercise. The director general of civil aviation (DGCA) has ordered a probe. Both the pilots – assistant pilot instructor Capt Pawandeep Singh Pabla (26) and commercial pilot Arshad Qureshi (28) were admitted to ICU ward of Aurobindo Hospital where Qureshi succumbed to his injuries in the evening. Both the pilots had sustained multiple injuries and were rushed to hospital in serious condition. Confirming the death of Qureshi, Dr Saket Jatti, one of the doctors treating the injured pilot said, "We could not save him. 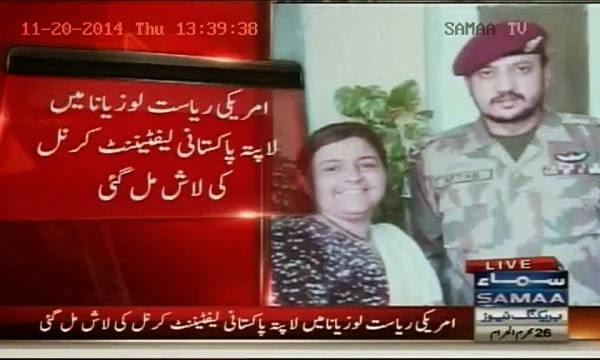 He died in operation theatre." "The Cessna 152A aircraft took off at 10.39 am and the pilots returned to the airport for carrying out a touch-and-go maneuver at 10.49 am. The pilots again returned to carry out the same maneuver at 10.54 am, but this time, the communication with ATC broke down. At 11.05 am, after failing to establish radio contact, the ATC sent a search and rescue team which found that the plane had crashed about 150 meters inside the boundary wall," Indore airport director in-charge Sanjay Agrawal told HT. Talking to HT, MP Flying Club chief flight instructor Capt Mandar Mahajan said that Cessna 152A is a reliable aircraft and is used across the country. "I am not aware what went wrong but I can say that Capt Pawandeep Singh is an experienced pilot with 1,000 hours of flying experience," he said. Qureshi had also become a pilot instructor recently, flying club sources said. In June 2013, a Cessna 152 twin-seater aircraft had crash landed outside Indore airport after its engine failed. However, the plane had landed in fields outside the airport premises and both the pilots had escaped with minor injuries. 11.15 am: Pilots rushed to hospital in airport ambulance. Crash site: 150 metres inside boundary wall and 500 metres away from runway south-east of main terminal building. The Civil Aviation Safety Authority is going through a huge shake-up of licensing and management. It will bring Australia into line with international regulations and it will also bring all the licensing information into an electronic system. The change is causing some nervousness amongst country pilots and private pilots who aren't comfortable with increased levels of bureaucracy and regulation. Matt McKay, team leader of safety for CASA, has been conducting information sessions for rural pilots to explain how the changes will be introduced. He says he can understand the confusion and concern but he's confident the end result will be worth it. "In the transitional phase there are some complications... but for the vast majority it's a reasonably simple change over," Mr McKay said. But he says there has been more difficulty in introducing changes for commercial pilots. "For people who had existing privileges that has to be captured in new licenses and ratings, and that's proving to be difficult in some situations." There is a move away from writing data into log books and a lot of data will ultimately be stored electronically. "It will now all be stored by the CASA data base." Injuries: 1 Fatal, 5 Serious, 1 Minor. The 14 Code of Federal Regulations Part 135 airline operated a fleet of single-engine airplanes that shuttled passengers between two islands located about 10 minutes’ flying time apart. The flight was carrying six passengers and was being conducted in visual meteorological conditions at dawn. After a normal start, taxi-out, and engine run-up, the airplane departed using the full length of the 8,000-ft-long runway. About 4 minutes after takeoff, the pilot radioed the air traffic control tower that he wanted to “come back in for an immediate landing”; the airplane landed uneventfully on the departure runway about 3 minutes later. The airplane exited the runway at the first taxiway, situated about 3,150 ft past the runway threshold, and the pilot subsequently conducted an engine run-up. The pilot returned to the runway and initiated an intersection takeoff using the 5,550 ft of remaining runway. About 45 seconds after the pilot began the takeoff, the airplane experienced a partial loss of engine power, so he began a second turnback. During the turnback, the airplane stalled at low altitude and impacted airport property near the end of a runway parallel to the departure runway. A postimpact fire ensued; one passenger did not exit the airplane and died. The pilot did not recall making the first turnback, and the investigation was unable to determine the reason for the first turnback. One passenger reported that the pilot was using his mobile telephone at an inappropriate time during the beginning of the flight, and two other passengers reported that the cabin door became unlatched at some point during the flight. Neither passenger reported that any door problems occurred after the second takeoff. Although there was no evidence to support the passengers’ allegations regarding the telephone or the cabin door events, an airline representative suggested that the first turnback was conducted due to the door coming open and that the subsequent engine run-up was conducted to conceal the actual reason for the turnback. The representative added that the second turnback may have been due to the pilot’s distraction and loss of situational awareness as he attempted to relatch the door that might have become unlatched again. Postaccident on-site wreckage examination and test runs and examination of the engine did not reveal any preimpact mechanical deficiencies that could be directly linked to the power loss. Although anomalies with the engine-driven fuel pump and one magneto were detected during their respective examinations, the units performed satisfactorily during bench testing. However, there were a sufficient number of undetermined details regarding the preimpact configuration and condition of the airframe and the engine to preclude a determination of the preaccident functionality and airworthiness of the airplane. Those details included the magneto-to-engine timing, the internal timing of the right magneto, the fuel selector valve takeoff setting, and the fuel quantity in the selected tank. Review of airplane performance data indicated that the 5,550 ft of runway beyond the taxiway intersection was more than sufficient for the takeoff. The performance data showed a rapid roll into a sustained bank angle during the turnback, which did not support the airline’s scenario that the airplane veered off course due to the pilot’s loss of situational awareness. The investigation was unable to determine the initiation altitude of the turnback or whether there was sufficient altitude for the safe execution of such a maneuver. However, deductions of the airplane location, altitude, and heading based on the ground scar information indicated that a safe landing would not have been possible from the point in the flightpath where the airplane stalled. Neither the airline nor the airplane manufacturer provided any specific guidance to pilots regarding minimum safe turnback altitudes. The pilot’s decision to conduct an intersection takeoff, instead of a full-runway-length takeoff, left 3,150 ft less runway. Although he did not state it explicitly, the apparent reason that the pilot opted for the intersection takeoff was for schedule expediency, by obviating the need for the extra few minutes required to taxi back for a full-runway-length takeoff. Based on the accident flightpath, the additional 3,150 ft of runway likely would have been sufficient to enable a straight-ahead landing after the power loss rather than a turnback. By foregoing the taxi-back, the pilot reduced his margin of safety by decreasing his options in the event of an engine anomaly or power loss. Review of aerial imagery revealed that, beyond the airport’s northeast boundaries, there were very few locations suitable for an emergency landing following a low-altitude power loss, which likely contributed to the pilot’s decision to attempt to return to the airport. Although the airline published the preferred flight tracks between the two airports that it primarily served, it did not provide any guidance regarding preferred flightpaths or emergency landing sites following an engine failure at low altitude. A partial loss of engine power shortly after takeoff for reasons that could not be determined because postaccident examination did not reveal any anomalies that would have precluded normal operation and the pilot’s failure to maintain airplane control during the unsuccessful attempt to return for landing on the airport. Contributing to the accident was the pilot’s decision to conduct his second takeoff using less than the full runway length available and the airline’s lack of guidance regarding how to respond to engine failures at low altitudes. On November 19, 2012, about 0618 local time (2018 November 18 Universal Coordinated Time), a Piper PA-32-300, N4267R, was destroyed when it impacted airport terrain during an attempted turnback immediately after takeoff from Francisco C. Ada/Saipan International Airport (PGSN), Obyan, Saipan, Northern Mariana Islands, a United States territory. One passenger sustained fatal injuries, the pilot and four passengers sustained serious injuries, and one passenger sustained minor injuries. The on-demand charter flight was operated by Star Marianas Air, Inc. (SMA), under the provisions of Title 14 Code of Federal Regulations Part 135. Dawn visual meteorological conditions prevailed, and no Federal Aviation Administration (FAA) flight plan was filed for the flight. According to a representative of the airline, the airline typically shuttled tourists between Saipan and Tinian, an island about 10 minutes' flying time south of Saipan. The passengers on the accident flight included five Chinese nationals and one Filipino national, and the flight was destined for Tinian. According to information from the FAA and Serco, the PGSN air traffic control tower (ATCT) service provider, the pilot first contacted the ATCT at 0604, requesting taxi clearance. The flight was instructed to taxi to the end of runway 7, and was cleared for takeoff about 4 minutes later. About 4 minutes after takeoff, the pilot radioed the ATCT that he wanted to "come back in for an immediate landing if possible." About 3 minutes later, the airplane landed uneventfully on runway 7, and exited the runway at taxiway B. The pilot briefly ran up the engine, and about 3 minutes after landing, informed the ATCT that he was ready for an intersection departure from runway 7. About 45 seconds after that, the airplane was observed turning back to the left, and some garbled radio transmissions were received from the airplane. Shortly thereafter, the airplane impacted airport property near the northeast end of runway 6, a smaller parallel runway situated northwest of runway 7. The bulk of the airplane came to rest at the treeline northwest of runway 6, and a post-accident fire began. The pilot and most passengers exited or were helped from the airplane, but the female passenger seated in the front right seat remained in the airplane, and was fatally injured. About 2 days after the accident, the wreckage was examined on scene by personnel from the FAA, and was then recovered to a secure location. FAA and airline information indicated that the pilot held a commercial pilot certificate, with an instrument airplane rating. The pilot began flying for SMA in January 2012. The airline initially qualified the pilot for "PIC" (pilot-in-command) authority in the PA-32-300 on January 11, 2012, and for flight instructor/check airman authority in the airplane on February 3, 2012. His most recent flight review was completed in January 2012, and his most recent FAA first-class medical certificate was issued in August 2012. The pilot had a total flight experience of about 1,238 hours, including about 674 hours in the accident airplane make and model. Airline records indicated that the pilot had flown about 54 hours in October 2012, and about 31 hours in November, the month of the accident. According to the airline's records, the pilot was on duty from 0200 to 0500 on November 15, and did not have another duty period until 1900 on November 17. He was then on duty for 11 hours, had a rest period of 12 hours and 40 minutes, and then went back on duty at 1840 the evening before the accident. At the time of the accident, the pilot had been on duty for almost 12 hours. The FAA Civil Aeromedical Institute conducted forensic toxicology examinations on "blood, serum" specimens from the pilot, and reported that no carbon monoxide, ethanol, or any screened drugs were detected. A brief telephone interview was conducted with the accident pilot about 2 weeks after the accident. The pilot remembered most of the accident flight, including events leading up to it, but he had no recollection of the takeoff and return just prior to the accident takeoff. According to the pilot, the flight/load manifest was satisfactory, and he did not note any defects during his preflight inspection, taxi-out, or engine runup. The initial takeoff and climbout was normal, but when the airplane reached an altitude of about 400 to 500 feet above ground level (agl), he noticed a "significant change" in engine sound and power. He observed that the manifold pressure and rpm gauges did not indicate full takeoff power, but stated that the engine gauges in the airline's fleet are "never accurate." He did not observe any unusual instrument indications, but his sense was that the engine's power and sound was less than that normally experienced for the indicated power settings. Upon sensing the power loss, the pilot immediately pushed the throttle, propeller, and mixture controls full forward, but the power continued to decrease. The pilot then turned on the electric fuel boost pump, and switched the fuel selector valve from the left to the right tank. The pilot stated that because he had conducted an intersection takeoff, he did not believe that there was enough runway remaining to land on, and he was therefore faced with the choice of putting the airplane in the ocean ahead, or attempting a turnback for landing on the airport property. He decided to attempt a turnback, and was cognizant of the decreasing power, airspeed, and altitude, as well as the danger of stalling. Initially the pilot intended to land on runway 24, but he overflew that, and then decided to try to land on the ramp. He said that he maintained a bank angle of about 35 to 45 degrees in the turn, but when the airplane was about 15-20 feet above the ground, the airplane suddenly "dropped to the ground." That was the last item he recalled about the accident sequence. When asked about the air turnback, landing, and runup that he had conducted just prior to the accident takeoff, the pilot recalled such an event, but he could not recall whether that event was the night before, or 2 weeks prior to, the accident flight. Regarding that event, the pilot recalled that on departing Saipan, he experienced a "slight power loss" of about 100 rpm, but was able to climb to 1,500 feet on the right downwind traffic pattern leg, and therefore, elected to return to the departure runway. He "landed long," but otherwise normally. He exited the runway, leaned the mixture to "clean the plugs," conducted an engine runup, and determined that the airplane was "fine." The pilot then departed uneventfully, and landed successfully at Tinian, where he informed maintenance or company personnel about the engine event. When informed during a telephone interview with NTSB and FAA personnel that the ATCT records indicated that he had conducted a successful air turnback just prior to the accident, again the pilot had no specific recollection of that event. 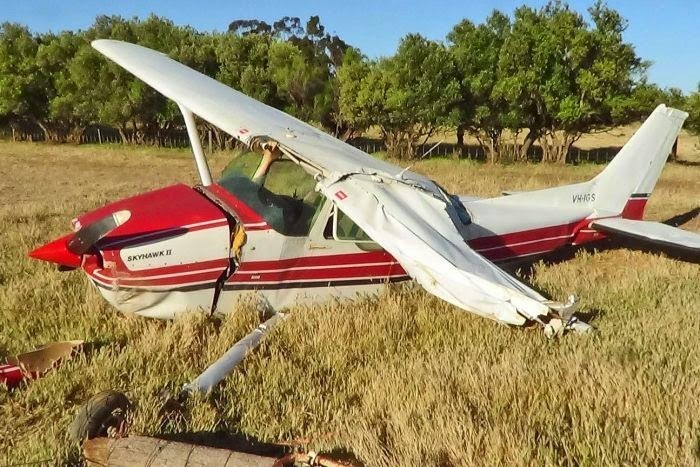 The pilot did not reconcile his lack of recollection of a previous turnback with his recollection that he had conducted an intersection takeoff during the accident flight. The airplane was manufactured in 1969, and was equipped with a Lycoming IO-540 series engine. It was an all-metal low-wing monoplane design with fixed, tricycle-style landing gear. The airplane seated seven persons in a 2-3-2 arrangement from front to back. The cabin was equipped with two entrance doors, one on the front right side (for pilot and co-pilot/front seat passenger), and one at the left rear for the other five passengers. The airplane had two baggage compartments, one forward and one aft. Flap positions include retracted (up/0 degrees), 10, 25, and 40 degrees, and were selected by moving the flap handle to one of the corresponding pre-select notches. The flaps were spring-loaded to the retracted position. The airplane was equipped with four individually-selectable fuel tanks; left tip/aux, left main, right main, and right tip/aux. Total fuel capacity was 84 gallons. The four-position wing flaps were manually actuated via a cockpit handle and torque tube arrangement. The manufacturer's Owner's Handbook (OH) specified that for takeoff, the fuel selector valve should be set to the "fullest main tank." The OH specified that once in cruise, "in order to keep the airplane in best lateral trim...the fuel should be used alternately from each tip tank" until the tip tank quantities were "nearly exhausted." At that point the OH specified switching to the main tanks. According to the maintenance records, the airplane had accumulated a total time (TT) in service of about 6,805 hours at the time of the accident. An overhauled engine was installed in July 2012, when the airplane had a TT of about 6,290 hours. The airline maintained the airplane on a progressive, cyclic inspection program which included four elements or segments, designated as "AAIP-1" through "AAIP-4." The most recent completed inspection cycle was the AAIP-1, which was completed on November 17, 2012, at an airframe TT of about 6,799 hours, and an engine time since overhaul of about 516 hours. The PGSN 0554 automated weather observation included winds from 060 degrees at 10 knots, visibility 10 miles, scattered clouds at 2,000 feet, broken cloud layer at 5,000 feet, overcast cloud layer at 11,000 feet, temperature 27 degrees C, dew point 23 degrees C, altimeter setting of 29.91 inches of mercury. PGSN was equipped with an ATCT that was operating at the time of the accident, and was operated and staffed under contract to the FAA by Serco Management Services, Inc. A transcript of the communications between the ATCT and the accident airplane was prepared and provided by Serco. According to the transcript, the pilot first contacted the ATCT at 0604:32, and advised that he was at the "commuter ramp" with the terminal information, and was ready to taxi. The controller cleared the airplane to taxi to the "end" of runway 7 via taxiway B and runway 6. The pilot acknowledged "full length," and was advised to expect a 2-minute delay for wake turbulence separation. At 0608:27, the flight was cleared for takeoff and an "early right turnout," which the pilot read back correctly. At 0612:08, the pilot radioed "Saipan tower, uh" but did not continue. At 0612:35, the pilot radioed that he wanted to come back for an "immediate landing if possible," and after a brief discussion about his position, was cleared to land on runway 7. When asked if he required emergency assistance, the pilot replied "negative." After the airplane landed, at 0614:28, the controller instructed the pilot to exit the runway at taxiway B, and remarked that this was the "second time it happened to you in less than two weeks, huh?" to which the pilot responded in the affirmative, and stated that he "just want[ed] to make sure everything's good to go." At 0614:54, the pilot told the controller that he just wanted to do a "quick run-up," and the controller told him to do so on taxiway B, and to advise when ready for departure. At 0616:17, the pilot advised the controller that he was ready for an intersection departure, and was cleared a few second later. At 0617:17, the pilot radioed "six seven romeo would like" but he did not complete that request. At 0617:27, in response to observing the airplane turning and descending, the controller cleared the airplane to land, and a partial, unintelligible response was received from the airplane. Shortly after that, the controller initiated the accident response procedures. PGSN was equipped with two parallel runways, designated as 6/24 and 7/25. Runway 7/25, which was the primary runway and the one used for the two departures, measured 8,700 by 200 feet. Taxiway B, which was perpendicular to the two runways, was located about 3,150 feet beyond the threshold of runway 7. A runway 7 intersection departure from taxiway B would have about 5,550 feet of available runway. The specified traffic pattern direction for runway 7 was left-hand. Runway 6/24 was a designated portion of the pavement that paralleled the full length of runway 7/25. Runway 6/24 measured 7,000 by 100 feet, and the threshold of runway 24 was directly abeam that of runway 25. The centerline of runway 6/24 was offset about 750 feet northwest of that of runway 7/25. The shoreline to the northeast of the airport was oriented approximately perpendicular to the runways, and was situated approximately 2,600 feet beyond the end of runway 7. The shoreline to the southwest of the airport was also oriented approximately perpendicular to the runways, and was situated approximately 4,300 feet prior to the runway 7 threshold. The airport elevation was listed as 211 feet above mean sea level. Review of commercially-available aerial imagery revealed that beyond the northeast airport boundaries, most of the vicinity was either ocean or heavily-vegetated terrain, with very few roads or open fields. According to information provided by FAA inspectors who responded to the accident site, the main wreckage came to rest at the junction of the grassy area adjoining runway 6 and the parallel treeline situated about 290 feet northwest of the centerline or runway 6/24. The main wreckage was located about 1,050 feet from the runway 7/25 centerline, and about 700 feet before the departure ends of runways 6 and 7. The main wreckage consisted of the majority of the airplane, excluding the left wing, some cockpit/cabin transparencies, some miscellaneous airplane components, and some luggage. The evidence was consistent with the left wing striking the ground first, while the airplane was in a left turn. The ground scars and debris path were oriented to the northwest, and curved about 15 degrees to the left. The first ground scar was located in the grass about 35 feet from the northwest side of runway 6. The left wing was located about 108 feet beyond the first impact point; the wing was fracture-separated from the airplane at the root, and was lying inverted. The left main landing gear was fracture-separated from the wing; it was found about 10 feet beyond the left wing. The main wreckage was about 114 feet beyond the left wing, and a passenger suitcase was located between the left wing and main wreckage. The airplane came to rest upright against and parallel to the tree line, oriented on a heading of approximately 240 degrees. The cockpit and cabin contents were fire damaged or consumed by fire, as was the outboard half of the right wing. The aft fuselage and empennage were essentially intact. Pitch and rudder control continuity was established from the cockpit area to the respective aft control surfaces. The pitch trim tab was set so that its trailing edge was about 1/2 inch below the stabilator trailing edge. The right wing flap was found in the retracted position, but the left flap was fracture-separated from its actuation linkage and therefore not fixed in any position. Photographs taken several hours after the accident, and subsequent to recovery of the front-right seat passenger, depict the cockpit flap handle to appear to be in the flaps-retracted position. The investigation was unable to determine if the flap handle was disturbed during or subsequent to the accident. The ignition key remained in the ignition and its orientation appeared consistent with it being in the "BOTH" position, but fire damage precluded positive determination. The fuel selector handle appeared to be set to a right side tank, but visual inspection did not permit determination of whether it was set to right main tank, or the right tip tank. The engine control quadrant was fire- and impact-damaged, but the three levers appeared to be near their full-forward positions. The engine was displaced aft and nose-down, but the engine was relatively undamaged. There was no evidence of any catastrophic internal engine failures. The three propeller blades remained attached to the hub, which remained attached to the engine. Two blades were bent aft, and one exhibited S-bending and chordwise scoring. The propeller did not exhibit any evidence of any pre-impact mechanical failures. The left tip tank was compromised, and contained no fuel, but some fuel was recovered from the left inboard tank. That fuel was not visually contaminated. The right tip tank was impact and fire damaged, and contained no fuel. The right inboard tank was impact damaged. Attempts to sump it for fuel resulted in only a few drops, possibly due to the post-accident orientation. The FAA CAMI conducted forensic toxicology examinations of cavity blood and multiple tissue specimens from the right front seat passenger, and reported that no cyanide, ethanol, or any screened drugs were detected. However, the CAMI reported that a carbon monoxide level of 25 percent was detected in the passenger's femoral blood. The engine was removed, crated and shipped to the Lycoming Engines facility in Pennsylvania for examination and testing. The engine did not exhibit any significant thermal damage. The propeller blades remained attached to the hub, and the hub remained attached to the engine. The magnetos were discovered to have been removed and loosely reinstalled. Follow-up investigation revealed that the mechanic who removed and crated the engine had to remove the magnetos in order to separate the engine from the airframe. The magneto-to-engine timing was not determined prior to their initial removal, nor were the magnetos marked in order to enable subsequent determination of their timing relative to the engine. The airplane fuel selector valve was included in the crate. Examination indicated that it was set to the right outboard fuel tank, and that the valve was unable to be repositioned by hand due to damage. The cooling baffles were removed to facilitate visual examination of the engine, which indicated that the engine appeared to be in sufficient condition to allow it to be run in a test cell. Several components were either removed outright, or replaced with serviceable or test-cell specific ('slave') hardware to facilitate an engine test run. These included, but were not limited to, the propeller (damage), right magneto (damage), and the air inlet housing for the fuel servo (test cell compatibility). The magnetos were set to the specified magneto-to-engine timing values for the test runs. After mounting in the test cell and filling with warmed oil, an engine start was attempted. After six attempts the start was suspended, and examination revealed that fuel was exiting the engine driven fuel pump drain port. The pump was bypassed, and fuel was provided via the test cell hardware. After four more attempts, the engine started, but the automated test cell safety system shut the engine down due to high oil pressure, which was determined to be a result of the engine's 18-month dormancy. The engine was restarted and ran for 5 minutes, but would not idle smoothly. The engine was again shut down, and cylinders 2 and 6 were determined by manual touch to be running significantly cooler than the other four cylinders. The fuel injector nozzles for cylinders 2 and 6 were removed, and found to be about 75 and 100 percent occluded, respectively. The age of, and the reasons for, the occlusions were not determined. The nozzles were cleaned and reinstalled. The engine was restarted, and successfully completed Lycoming's Production Engine test sequence. The engine developed full rpm and manifold pressure, ran normally with only minor anomalies, and no deficiencies or problems that would have precluded continued operation were noted. Complete details are provided in a separate document in the NTSB public docket for this accident. The magnetos and the engine driven fuel pump were sent to their respective manufacturers for detailed examination. No other documentation regarding the previous history of the magnetos was located, and the investigation did not determine how much time the magnetos had accumulated since their overhaul, or on any other aircraft, if any. Therefore, the times cited herein can only be considered as minimum values. Both magnetos were shipped to their manufacturer, Continental Motors in Mobile, Alabama, for examination and testing. The left magneto's internal timing was found to be correct by both using a timing light and by visually examining the distributor gear position through the timing port. The magneto was placed on a test bench, and each lead produced a spark across a 7mm gap throughout all operating speeds. The impulse coupling functioned properly. The magneto was disassembled. Examination of the distributor gear while the axle was installed in the distributor block bushing revealed no discernable radial or axial play. There were no anomalies noted with the left magneto's internal components. The right magneto's internal timing was checked using a timing light and by visually examining the distributor gear position through the timing port. The internal timing was trailing by three distributor gear teeth. The magneto was placed on a test bench and each lead produced a spark across a 7mm gap throughout all operating speeds, in the correct firing order. According to a Continental Motors (CMI) representative, the bench test spark gap was significantly larger than would be expected to be found in service, and that based upon the bench test results, the magneto in its as-tested condition would not have adversely affected engine performance. The right magneto was disassembled. Examination of the distributor gear while it was still installed on the distributor block axle/shaft revealed that there was a significant angular displacement between the gear and the block. Four of the six fixed electrodes were mechanically damaged. Some of the material had been shaved off the electrodes, and electrode shavings and chips were found on the inside circumference of the distributor block. The distributor gear teeth displayed a worn condition on the carbon-brush-end of the gear. A number of the distributor gear teeth apexes displayed mechanical deformation damage consistent with imprints of the drive gear teeth. Examination of the distributor block revealed that the bushing in which the distributor gear axle rides, and which is normally molded into the block, was loose. Visible gaps were noted between the bushing and the housing, and fragmented block material was noted under the felt strip and felt washer. Representatives of CMI indicated that they had become aware of other similar magneto block failures. In February 2015, CMI issued two related Service Bulletins (SB 15-1 and SB-669) to provide relevant magneto inspection guidance. The loose bushing permitted the distributor gear axle to tilt enough to disengage the distributor gear from the drive gear, permitting changes to the internal timing. Although the loose bushing and resulting off-plane freeplay of the timing gear was necessary to enable the mis-timing, it was not sufficient. The investigation did not determine the forcing mechanism(s) for the mis-timing. Therefore, the investigation was unable to determine whether any internal timing change was a gradual migration, a random step function, or some combination of the two. As a result, the investigation was unable to determine whether the as-found internal timing was representative of the magneto internal timing, either during the accident flight or any previous flights. Refer to the magneto examination report in the NTSB accident docket for additional details. In August 1994, Lycoming issued Mandatory Service Bulletin SB516, which specified the inspection, and replacement at overhaul, of certain magnetos. The left magneto on the accident engine was subject to that SB. According to a Lycoming representative, any Lycoming-accomplished/approved overhaul requires compliance with all Lycoming Mandatory SBs. The accident engine was overhauled in 2012 by a commercial maintenance facility, and the accompanying FAA Form 8130-3 stated that the engine was "overhauled, tested, and certified" in accordance with all Lycoming specifications. However, the airplane's maintenance records indicate that a magneto that was subject to the SB was installed at overhaul, which was not in accordance with Lycoming standards. The investigation was unable to determine the reason for this discrepancy. According to the FAA inspector for this accident, Part 135 operators are not required to comply with manufacturer's Service Bulletins (SBs) unless the SB is either incorporated into an Airworthiness Directive (AD), or is incorporated into any other operator document that is FAA approved. That same inspector reported that in his review of the airline's relevant guidance, he did not locate any requirements for compliance with manufacturer's SBs (excluding manufacturer's recommendations for overhaul of airframes, engines, propellers, and accessories). Review of the maintenance records and other documentation revealed that the pump was manufactured prior to 1992, and that it was installed on the engine on October 8, 2012. At the time of the accident, the pump had accumulated about 345 hours in service on the airplane. No other documentation regarding the history of the pump was located, and the investigation did not determine how much time the pump had accumulated since its overhaul, or on any other aircraft, if any. Therefore, the time cited herein can only be considered as a minimum value. The fuel pump data plate indicated that it was manufactured by Romec. The pump was shipped to a Crane Aerospace facility in Ohio, of which Romec had become a subsidiary. Examination of the pump revealed that it had been overhauled by a company other than Crane/Romec, and that the overhaul had been accomplished on an unknown date subsequent to March 2010. The pump was subjected to the Crane acceptance test procedure (ATP) for new pumps. The pump passed the performance portion of the ATP, but failed the static leak portion of the ATP; the pump shaft seal was found to be compromised. There were several anomalies detected with the assembly of the pump, most of which were consistent with being artifacts of the overhaul. These included improperly torqued screws, misidentified components, and lubricant or grease in improper locations. Although some anomalies had the potential to result in pump malfunction or failure, there was no evidence that the detected anomalies were associated with the subject accident. In addition to those anomalies, areas of wear, and particulate contamination were observed in the pump. The shaft seal had significant rust-colored contaminants, which could have contributed to the shaft seal failure. The possibility that the rust developed or increased during the unpreserved engine's dormant period between the accident and the pump examination could not be excluded. According to a Crane representative, the "shaft seal leak has little impact on pump performance." The leak was between the interior wetted portion of the pump and the gearbox cavity on the engine, and there was provision for the leaking fluid to be vented overboard or back to the intake. That scenario was consistent with the engine test cell observations. Some additional details can be found in the NTSB accident docket for this accident. According to information provided by company representatives, SMA was an FAR Part 135 operator based on Tinian. SMA operated primarily as a passenger shuttle between Tinian and Saipan, which was approximately a 10-minute flight. The Tinian offices included SMA's headquarters, maintenance and dispatch facilities and personnel. SMA maintained an outstation on Saipan, which included passenger facilities, station agents, as well as technicians and pilots on an as-needed basis. SMA operated about 4,500 flights per month, which representatives variously characterized as about 800 hours per month, and as about 125 hours per airplane per month. SMA had completed about 100,000 flights prior to the accident, and SMA representatives reported that SMA had had only two "incidents" (including the subject accident). SMA had approximately 22 pilots, each of whom was hired on a 1-year contractual basis. Pilots were typically scheduled for 12-hour shifts that began and ended at 7 am and 7 pm, and the normal schedule cycle was a repeat of 3 days on, 1 day off, 3 days on, and 2 days off. Pilots were released from schedules when traffic loads did not warrant their use/retention. SMA conducted its own maintenance on its airplanes. SMA had a total of 12 aircraft technicians, including 5 certificated mechanics with airframe and powerplant ratings, and 1 with inspection authorization. The airplanes on the Part 135 certificate, including the accident airplane, were maintained in accordance with an FAA-approved inspection program. FAR Part 135 did not require SMA to maintain or use FAA-defined dispatch personnel or procedures. According to SMA representatives, SMA did maintain and use personnel in a dispatch-like capacity, but those personnel did not hold FAA dispatch certificates. SMA variously referred to those personnel as "dispatchers" and "flight followers." Those personnel performed weather briefings, airplane releases, and exercised "operational control." Normal SMA dispatch procedures included assigning pilots to specific airplanes and providing printed weather information to the pilot. The dispatcher would then issue the pilot the airplane "can," which was a metal clipboard and container that held the aircraft flight log (AFL), other related paperwork, and the airplane keys. SMA station agents, who were direct employees of SMA, would conduct passenger check in and loading. Their responsibilities included weighing of passengers and bags, seat assignments, baggage compartment loading determinations, issuance of boarding passes, and supervision or conduct of baggage and passenger loading. Station agents also presented load manifest to pilots, who verified and signed. SMA maintained its primary fuel supply on Saipan, with some on Tinian. The "standard" first flight of each day fuel loads were 17 gallons (g) in each tip tank, and 7g in each main (inboard) tank. Although SMA conducted late night and very early morning flights, they did not indicate what their demarcation point for the beginning of each "day" was. Each flight between Tinian and Saipan typically consumed about 3 gallons. After the third or fourth "rotation" (a round trip between the islands), if the airplane was scheduled for additional flights, the dispatcher would advise the fuel truck of the potential need for fuel. Dispatchers arranged for fueling, and fuel truck personnel fueled the airplanes. The airline's flight manifest records indicated that the airplane had 48 gallons of fuel on board for the flight. The airplane had most recently been fueled with 20.7 gallons on the day of the accident. The provided records did not indicate whether, or how many times, the airplane had flown subsequent to the refueling, or permit an independent determination of the fuel quantity on board for the accident flight. There were no reports of any fuel-related problems with any of the airline's airplanes in the days surrounding the accident. According to SMA personnel and the General Operations Manual (GOM) checklist, the PA-32 pilots flying between Saipan and Tinian were supposed to adhere to standardized fuel-tank usage procedures, which, per the GOM, required the cockpit fuel tank selector handle to point "East for Enroute," which was towards Hawaii. Tinian was situated south of Saipan, and Hawaii was to the east of both. Therefore, on a southbound flight to Tinian, the selector would be set to the left tank, and on a northbound flight to Saipan, the selector would be set to the right tank. Pilots were responsible for conducting daily 'first flight' checks, pre-flight inspections, and engine run ups. Once the pilot determined that an airplane was in satisfactory condition for flight, s/he would taxi it to the passenger terminal area to receive passengers. Airplane airworthiness status was indicated in an electronic calendar, as well as on a manual display board in the Tinian dispatch office. SMA procedures prohibited the release of an "unairworthy" airplane to a pilot, and pilots are prohibited from flying an airplane with an "open" (uncorrected) maintenance item, unless it is indicated as acceptable per the applicable Minimum Equipment List (MEL). Pilots communicated airplane anomalies to the maintenance group by physically logging the item on the airplane copy of the AFL. In response to questions from the NTSB, SMA representatives provided the following information regarding maintenance writeup procedures. Prior to a flight, station ground staff observe the general condition of the airplane, and notify the pilot if they have any concerns. The pilot checks the item in question, to determine whether a maintenance discrepancy exists. If the pilot determines that no maintenance discrepancy exists, s/he accepts the airplane, and conducts the flight. If a maintenance discrepancy does exist, the discrepancy is logged in the AFL, and the airplane is removed from service until the discrepancy is cleared by maintenance. If a pilot notes a problem after taxiing out or during flight, the pilot decides whether to continue the flight or return. If the airplane returns to the departure airport, but does not return to the station (gate) because the pilot determines that no maintenance discrepancy exists and the situation can be corrected by the pilot, the pilot corrects the item, and departs without notice to dispatch or the station. Examples of such situations included unclosed doors, improperly inserted microphone or headset jacks, and insecure seat belts. If the pilot returns to the departure station (gate), dispatch is notified. If the airplane requires maintenance, dispatch is notified, and coordination with maintenance is required to determine when the airplane can be further utilized. Similarly, if the pilot continues the flight to the destination airport and then reports a mechanical irregularity, dispatch is notified, and coordination with maintenance is required to determine when the airplane can be further utilized. Maintenance discrepancies are to be entered on the AFL sheets either before or after the discussions with maintenance. Except for MEL items, all maintenance discrepancies must be cleared by maintenance personnel before the airplane can be released back into service. MEL items may be deferred by the pilot in accordance with the MEL. Every MEL item must be carried forward onto each subsequent AFL until the item is cleared by maintenance. SMA personnel stated that occasionally, "the items of interest that delay or cancel an aircraft from taking a specific flight are not determined to be" maintenance discrepancies that necessitate an AFL entry, citing a flooded engine as an example. They also noted that items detected and corrected by maintenance personnel would not appear on the AFL sheets. Instead, those items would be captured by the maintenance work order system, and appear as "Unscheduled Maintenance"' in the documentation. SMA station agents were required to observe and monitor departures and arrivals. Saipan station agents had the capability to monitor PGSN ATCT communications. The station agents were required to then radio each flight departure and arrival to the dispatchers, who would log those departure and arrival times. SMA did not have any specific procedures requiring the capture of information regarding air turnbacks and subsequent departures, such as occurred on the accident flight. Neither the station agent nor the dispatchers noted the first turnback of the accident flight in any official records. The investigation did not locate any evidence to indicate that either the station agent or the dispatchers were aware of the first turnback until after the accident occurred. The GOM explicitly stated that pilots were prohibited from substituting "personal" procedures for GOM procedures. The Normal Procedures checklist from the SMA GOM specified a takeoff flap setting of 10 degrees. Although that checklist did not specify a landing flap setting, the GOM did contain guidance that indicated that landings were to be conducted using full flaps. The GOM contained some guidance regarding pilots' use of full runway length versus intersection takeoffs from Saipan (PGSN). No similar information for departures from Tinian was provided, because those taxiways only accessed the runway at either end. The GOM guidance was consistent with conducting PGSN runway 7 takeoffs from the intersection of taxiway B and runway 7, instead of full length. That intersection was the closest point of runway 7 to the terminal ramp used by SMA. The GOM guidance for departures from PGSN runway 25 stated that pilots could conduct their takeoffs either full-length or from the taxiway D intersection. The terminal was closer to the taxiway D intersection than it was to the runway end. The GOM runway takeoff guidance was consistent with minimizing taxi distances and times, and also with ensuring that, by the time an airplane reached mid-channel between the two islands, it would have sufficient altitude to be able to glide back to land in the event of an engine power loss. The ATCT communications transcript indicated that shortly after the pilot completed the turnback and landing prior to the runup and accident takeoff, the controller radioed that the turnback was the pilot's second one in as many weeks, which the pilot acknowledged. As a result of that exchange, on November 28, 2012, the FAA requested the ATCT records regarding any SMA turnbacks. The ATCT service provider representative responded that their records only dated back through November 12, 2012, and that there was one event in those records. The event occurred on November 13 local date (November 12 UTC), involving SMA PA-32 flight "TN4254R that departed 1842UTC (0442L) and landed 1845 UTC (0445L)." Review of the airline's records revealed that the accident pilot was on duty from 2000 on November 12, 2012, until 0610 on November 13, 2012 (dates and times local), that he was the pilot for a Saipan to Tinian leg in that airplane at the time of the ATC-reported turnback, and that the flight time was about 23 minutes, instead of the usual 10- to 15-minute durations. All this information was consistent with the pilot conducting the air turnback cited in the ATC records. Despite the pilot's statement that he reported a recent previous turnback event to the airline, no recent anomaly reports or maintenance writeups for any such event associated with the pilot or N4254R were located in the airline's records. The only relevant maintenance record located was for a different airplane and different pilot. According to airline's records, on July 16, 2012, another pilot in another of the airline's PA-32 airplanes (N4599X) made an "immediate return" to the airport when the engine began "missing." That landing was uneventful, and the airplane returned to the gate. That event was subsequently attributed by the airline to water contamination of the fuel. The airline's flight training manual that was available and in effect at the time of the accident provided the following guidance regarding engine failures on takeoff: "Airborne but not at a safe altitude to maneuver: Land straight ahead on the remaining runway if able, otherwise the best option is to land straight ahead considering the terrain." The flight training manual "Acceptable Performance Guidelines" for engine failure during takeoff stated that in the case of "no runway remaining," the pilot should "maintain straight flight path...and make the best choice of where to land." According to an airline representative, the airline's PA-32 emergency checklist contained the following guidance regarding an engine power loss during takeoff: "If area ahead is rough... make only a shallow turn if necessary to avoid obstructions." However, review of the emergency procedures checklist revealed that the checklist that was available and in effect at the time of the accident did not contain the cited guidance. A revised version of that checklist, published in December 2014, did contain the cited verbiage. A representative of the airline reported that the upper latches of the forward right cabin doors on their PA-32 airplanes have previously become unsecured after takeoff. The representative suggested that the first turnback was to enable the pilot to secure the door, and that the engine runup was intended to conceal the actual reason for the turnback. The representative suggested that the left turn and accident after the second takeoff was possibly due to the door becoming unlatched again, and the pilot's subsequent distraction and loss of situational awareness during his efforts to re-secure the door during the initial climb. Impact and thermal damage precluded a determination of the status (open/closed/locked etc.) of the door at the time of the accident, and the pilot never reported any cabin door problems to investigators. Review of airplane performance data and accident site ground scars indicated that a sustained bank angle of approximately 55 degrees, initiated at an altitude of about 150 to 200 feet agl, would be required to yield the observed ground scar location and heading. The passengers consisted of five Chinese females and one Filipino male. The one female who reportedly spoke some English did not survive the accident. The male spoke some English. Three female passengers were interviewed shortly after the accident by U.S. Federal Bureau of Investigation (FBI) personnel, and with the knowledge of the NTSB. Two of those passengers were interviewed twice by the FBI; a total of five FBI interviews with the three female passengers were conducted. Those passengers agreed that the pilot did not inform them of the reasons for either the first or second turnback. Those passengers' accounts of the maximum altitude reached after the second takeoff ranged between 20 and 100 meters above ground level. None reported any in-flight smoke or fire. In one of the second interviews, one passenger reported that the pilot used his mobile telephone during boarding and after the first takeoff. A few days after the accident, at the request of the airline's chairman, an SMA pilot attempted to interview all the surviving passengers. Two female passengers refused to be interviewed, because they claimed that they were instructed by the FBI not to speak with anyone about the accident. The other two females and the male did speak to the pilot-interviewer. The NTSB was not made aware of this plan or those interviews until after they had occurred, and no FAA representative was present for the interviews. According to the pilot-interviewer's written report, the two female passengers reported that the accident pilot appeared to manipulate a cabin door after the first takeoff. However, the FAA representative's notes about the SMA pilot-interviewer's recount of the interviews indicated that one of those female passengers "really couldn't tell" whether the accident pilot touched the door, and that the other female passenger did not recall the pilot adjusting or latching the door after the landing. In addition, whereas the pilot-interviewer's notes did not contain any information regarding his interview of the male passenger, the FAA representative's notes indicated that the pilot-interviewer did interview the male passenger, and that the male passenger did not notice the accident pilot either using his telephone or manipulating the cabin door. The investigation could not determine why the door recollections were not provided in the FBI interviews, whether the two female passengers had communicated with one another between the accident and the airline-led interviews, or why there were so many discrepancies between the various interview results and summaries. An SMA pilot was on the airline's ramp awaiting his passengers and witnessed a portion of the accident flight. He observed the stationary airplane on taxiway B with "what appeared to be a high engine rpm" for a period of about 45 seconds. He stated that the airplane then reduced power and taxied to runway 7 for an intersection departure. The airplane began a takeoff roll and began climbing, but "A few seconds later, it sounded that the engine was losing power and rpm was fluctuating." The witness observed the airplane level off and begin a "shallow left turn, which quickly steepened with an increasing nose down attitude." The airplane descended behind the terrain and trees, and the witness then heard the sound of impact. During the runup, the airplane was situated about 1,200 feet from the witness. The impact location was situated about 4,000 feet from the witness. The investigation was able to obtain partial message and call records for the two mobile telephones known to be registered to the pilot. Review of the most complete set of records revealed that that telephone was being used by the pilot's girlfriend on the morning of the accident, and that she was using that telephone to communicate with the pilot at the second telephone number. The records indicated that 26 text messages were exchanged between the two telephones between 0421:27 and 0600:15; the last message was from the pilot to the girlfriend. Three more messages were sent by the girlfriend between 0652:20 and 0655:28, but no replies from the telephone being used by the pilot were received. A date/time error in a subpoena, that was not detected until very late in the investigation, precluded a complete record of the activity on the telephone which was in use by the pilot on the morning of the accident. According to the airline-provided load manifest, the airplane weight at the time of the accident was about 3,270 pounds, and both the weight and center of gravity were within the allowable limits. The investigation was unable to independently determine the actual flap setting(s) for any portion of the flight. Although all OH data was presented for the zero-wind case, the actual takeoff would have had an approximate 10 knot headwind. Local temperature, humidity and elevation conditions at the time of the accident resulted in a density altitude of about 2,000 feet. The manufacturer's OH provided some takeoff, climb, glide, and landing performance data. Two takeoff performance charts, one each for 10 and 25 degrees flaps, presented data for takeoff weights of 2,900 and 3,400 pounds. According to the charts, at the takeoff weight, the distances to clear a 50 foot obstacle would have been about 1,900 and 1,800 feet for 10 and 25 degree flaps, respectively. Climb data, provided only for 10 degrees flaps, indicated that the initial climb rate would have been about 930 feet per minute (fpm), decreasing to about 870 fpm at 1,000 feet agl. The investigation was unable to determine the maximum altitude reached by the airplane, but the pilot stated that the engine lost power when the airplane was 400 to 500 feet above the ground. Glide data indicated that the airplane would have a zero-flaps glide range of about 1 mile from an altitude of 500 feet. That range would decrease with headwind, off-nominal speed, extended flaps, and/or turning flight. The OH-indicated landing distance over a 50-foot obstacle, using 40 degrees (full) flaps, "maximum braking," and "short field effort" would have been about 1,050 feet. Calculations using the ambient conditions and the OH-provided data indicated that for the accident takeoff, presuming normal power output, the airplane would have lifted off about 20 seconds after the start of the takeoff roll, and cleared a 50-foot obstacle in another 4 seconds. At the prescribed climb speed, the airplane would have reached 250 feet agl and 500 feet agl after another 16 and 33 seconds respectively, or about 40 and 57 seconds (respectively) after the start of the takeoff roll. At 250 feet agl, the airplane would have traversed about 4,700 feet from the beginning of the takeoff roll. At that point, there would have been about 850 feet of runway remaining ahead of the airplane, compared to about 4,000 feet if the full runway length had been used. At 500 feet agl, the airplane would have traversed about 7,700 feet from the beginning of the takeoff roll. At that point, the airplane would have been about 1,250 feet beyond the end of the runway, compared to having about 1,000 feet remaining if the full runway length had been used. Chapter 5 (Takeoffs) of the AFH (FAA publication 8083-3) stated that in the event of an engine failure on initial climbout, the pilot "should establish a controlled glide toward a plausible landing area (preferably straight ahead on the remaining runway)." AFH Chapter 16 (Emergency Procedures) provided a lengthy discussion of procedures following engine failure on takeoff in a single engine airplane. The AFH noted that the altitude available is "the controlling factor" in the successful accomplishment of an emergency landing, and cautioned that if an engine failure should occur before a safe altitude is attained, it is "usually inadvisable to attempt to turn back" to the departure airport. Problems associated with a post-takeoff turnback included a downwind turn, increased groundspeed, increased altitude loss due to the turn, and lateral offset from the runway after the turn. The AFH advised pilots to experiment at safe altitudes to determine realistic altitude values that would enable a safe turnback to the airport. Although such altitudes were not provided by SMA or the airplane manufacturer, multiple studies indicate that 500 feet above ground level should be considered the minimum acceptable altitude for single engine general aviation airplanes attempting a turnback to the departure airport. Injuries: 1 Fatal,5 Serious,1 Minor. On November 19, 2012, about 0618 local time (2018 UTC), a Piper PA-32-300, N4267R, was substantially damaged when it impacted airport terrain immediately after takeoff from Francisco C. Ada/Saipan International Airport (PGSN), Obyan, Saipan, Northern Mariana Islands, a United States territory. One passenger sustained fatal injuries, the pilot and four passengers sustained serious injuries, and one passenger sustained minor injuries. The on-demand charter flight was operated by Star Marianas Air, Inc., under the provisions of Title 14 Code of Federal Regulations Part 135. Dawn visual meteorological conditions prevailed, and no Federal Aviation Administration (FAA) flight plan was filed for the flight. According to a representative of the operator, they typically carried tourists between Saipan and Tinian, an island about 10 minutes flying time south of Saipan. The passengers on the accident flight included five Chinese nationals and one Philippine national, and the flight was destined for Tinian. According to information obtained from personnel in the PGSN air traffic control tower (ATCT), about 0609 the airplane departed from runway 7, and the pilot then asked to return for landing for an unspecified problem. The airplane landed uneventfully back on runway 7 about 0615. An ATCT controller queried the pilot as to his intentions, and the pilot responded that he wanted to conduct an engine runup. The airplane exited the runway at taxiway Bravo and stopped, and according to several witnesses, the pilot conducted a brief engine runup. The pilot was then cleared for an intersection Bravo departure from runway 7. Witnesses observed the airplane become airborne, drift left, and impact the grass adjoining the north side of the runway. The airplane slid into trees north of the runway, and a fire ensued. Information obtained by on-scene examination by an FAA inspector revealed that the airplane came to rest about 3,000 feet from the departure end of runway 7, and that the left wing had separated during the ground impact sequence. Initial examination of the airplane established flight control continuity, exclusive of impact-related damage, for the pitch and roll control systems. Initial examination of the engine did not reveal any pre-impact conditions which would have precluded normal operation. The wreckage was transported to a secure location for future detailed examination. FAA and operator information indicated that the pilot held a commercial pilot certificate, with an instrument airplane rating. The pilot had a total flight experience of about 1,238 hours, including about 674 hours in the accident airplane make and model. His most recent FAA first-class medical certificate was issued in August 2012, and his most recent flight review was completed in January 2012. The airplane was manufactured in 1969, and was equipped with a Lycoming TIO-540 series engine. The airplane had accumulated about 6,805 total hours in service. The PGSN 0554 automated weather observation included winds from 060 degrees at 10 knots; visibility 10 miles; scattered clouds at 2,000 feet, broken cloud layer at 5,000 feet, overcast cloud layer at 11,000 feet; temperature 27 degrees C; dew point 23 degrees C; altimeter setting of 29.91 inches of mercury. The casualties and the minor child of the lone fatality in the 2012 crash at the Francisco C. Ada/Saipan International Airport have filed a complaint in federal court against several defendants two years after the accident. Weilian Lu, who died in that accident, represented by her child Yixiao Ge, who in turn is represented by guardian Xiaojie Ge, along with co-plaintiffs Xin Hong, Meilin Zhou, Xiaohua Zhou, and Xiuzhong Zhu sued Star Marianas Air Inc., Marianas Air Travel, Tinian Transportation Management Solutions Inc., pilot Jae Choi, Chinese travel agency Tianing, Century Tours, Top Development Inc. and Does 1-100 in federal court on Nov. 14 for negligence, wrongful death, negligently inflicted emotional distress, and fraud. The plaintiffs are seeking claims for general and special damages according to proof, reasonable compensation for the loss of love, companionship, comfort, care, assistance, protection, affection, society, moral support, for punitive damages, for reasonable attorney fees, for costs of suit, for interest at legal rate from date of liability and for other reliefs. The plaintiffs are represented by Mark B. Hanson. Based on the complaint, defendant Choi — the pilot — crash landed the aircraft Piper PA-32 Cherokee Six operated by defendant SMA, chartered by defendant MAT and maintained by defendant TTMS north of the Saipan airport runway on Nov. 19, 2012. The crash landing resulted in Lu’s death while four others were severely injured. Lu was dead on arrival at the hospital due to burns. Plaintiff Hong suffered a thoracolumbar burst fracture and had to undergo surgery. Plaintiff M. Zhou had a fractured right arm, burned chin, and injured leg and underwent multiple hip surgeries. X. Zhou, another plaintiff, suffered third-degree burns on her face, a burnt right arm, fractured left arm and head injuries. Plaintiff Zhu suffered an injured forehead, dislocated left arm and fractured back. He suffers from a sleep disorder. In seeking claims, the plaintiffs said that the defendants are liable under the doctrine of negligence in tort for the damages incurred as a result of the failures in maintaining, inspecting, and piloting the Piper aircraft. They also said the aircraft operator is liable under the “doctrine of respondeat superior” in tort in damages incurred by defendant Choi’s act of negligence within the scope of his employment with SMA. The plaintiffs said the defendants committed acts or omissions which collectively and severally constitute negligence — the proximate cause of the injuries. Further, the plaintiffs allege that the defendants’ acts or omissions caused Lu’s wrongful death. They also said that the defendants owed them a heightened duty, as a common carrier, to not create an unreasonable risk of emotional injury to the plaintiffs. They said the defendants are liable for the damages incurred resulting from lack of due care that they displayed while booking the plaintiffs’ flight with SMA and by providing no safety instructions in Chinese. Defendants Tianing, Century Tours, TOP and Does 1-100 committed acts of commission and omission that constitute negligence, the plaintiffs said. In seeking claims for fraud, the plaintiffs said the defendants willfully misled them into believing the airline was a safe transportation choice. Attorney Timothy Bellas, representing defendant SMA, told Variety that they will file the appropriate response in court. As Lu’s child is a minor, the court has appointed the child’s father, Xiaojie Ge, as guardian ad litem for the purpose of prosecuting minor Yixiao Ge’s claim. Petitioner Xiaojie Ge was also appointed by the court to serve as Lu’s representative.